Nashville Aikikai offers a variety of classes to meet student needs. Visitors are welcome to watch. The best time to watch a class is Monday through Thursday from 6:30 to 8:00 PM. We welcome all Aikidoka, regardless of affiliation or experience, to come and train. We only ask that you speak with the instructor prior to class. 9:00 – 10:30 AM Keiko – A more open class, where students can prepare for testing or ask questions about particular issues with which they are having difficulty. 6:30 – 7:30 AM Keiko – Tom Sensei, focusing on slow movement, meditation, stretching, and basic principles. Keiko (General) Class: We have a general class (keiko) Monday through Thursday at 6:30 AM and at 6:30 PM. The content of the class will depend on the experience levels of the attendees, but the Monday and Wednesday evening classes are especially focused on basic aikido principles – see Introductory Class, below. Keiko on Saturday at 10:00 AM typically features more advanced training. 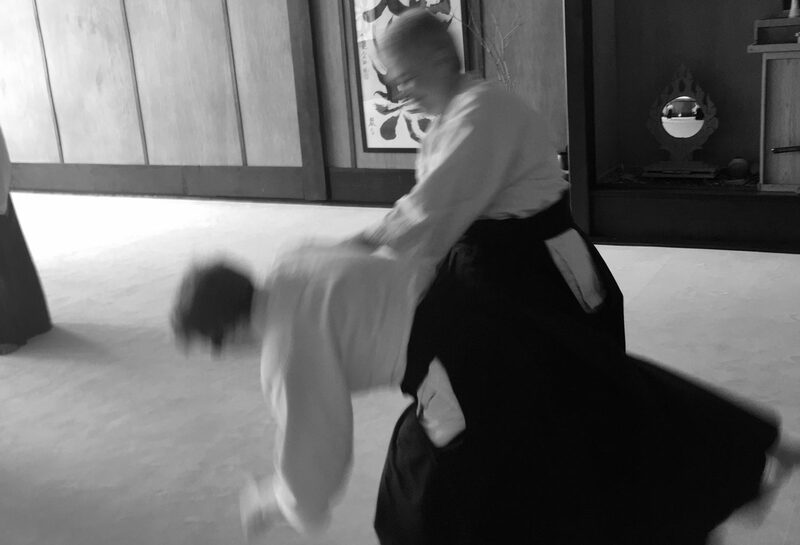 Introductory Class: Nashville Aikikai offers ongoing open enrollment for beginning students with or without previous aikido experience on Monday and Wednesday at 6:30 PM. There is no need to preregister and you may start on any date. Beginning students are welcome to attend any combination of Monday and Wednesday evening Introductory Classes, Wednesday Ukemi Class, Monday and Wednesday morning classes, and the Sunday Test Prep Class. Students of any level may attend the Introductory Class. This gives new students an opportunity to work with senior members of the dojo, and more experienced students to practice basic technique. Students are introduced to the basics of Aikido, including open hand techniques and weapons (tanto, bokken, and jo). This class will help prepare students for their first kyu tests. Weapons Class: The Weapons Class features beginning to advanced level techniques using bokken (wooden sword), tanto (wooden knife), and jo (short staff). Weapons training helps students to develop a sense of distance and timing in relation to their partner, as well as center and focus. The Weapons class is held at 6:30 PM on Tuesday. Ukemi Class: Ukemi includes the art of attacking with good center, blending, and rolling/falling to protect yourself as the technique is completed. A class focusing on ukemi is offered on Wednesday at 5:15 PM. This class is for children ages six to twelve years old. Parental presence is required. We will consider it a successful class if everyone has fun and gets a good stretching, centering, and aerobic workout while being exposed to the teachings and the techniques of traditional Japanese Aikido. We teach rolls, falls, and basic strikes and grabs in order to help students develop self defense capabilities. But we do not HAVE to have classes that rely on strikes or grabs to have a great class, and we limit teaching in this area. There are no pre-requisites nor physical abilities necessary to start this class. Nashville Aikikai believes that each person has their own reasons for training, and that these should be respected. 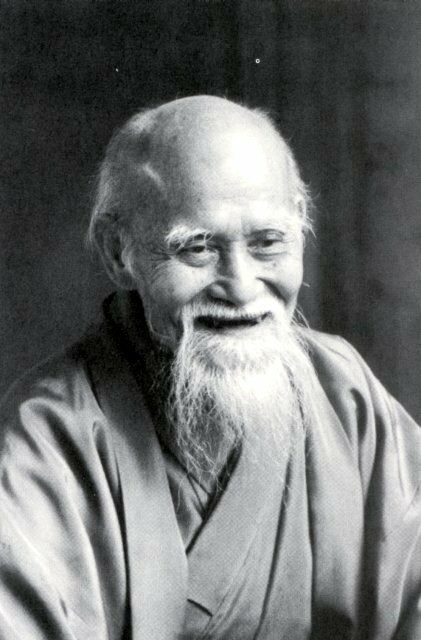 We adhere closely to the the curriculum of Aikido Schools of Ueshiba (ASU), but this is a flexible model that requires only a sincere effort to succeed. This flexibility says the demands of training should be calibrated to the student, offering each student the best opportunity to grow and develop in the art of Aikido. We take this same approach with our youngest students. Nashville Aikikai is a non-profit organization. Our instructors, office managers, etc., donate their time, effort, and skills for the benefit of the dojo and students. All dues go towards the operation, maintenance, and beautification of the dojo. Dues are paid on the first day of the month or at the beginning of a new class. $150.00 for the eight week class. Each additional person from the same family $100. Regular dues for all Kids’ Class students. Cookeville Aikikai in Cookeville, TN offers Aikido classes. Mark Clark (Nidan) the Dojo Cho and Chief Instructor, is a student of Tom and Mary Sensei. Please see their website for more information: https://www.cookevilleaikido.net/. Christie: The Kids Class is on hold until November. Please check back with us later for the exact dates. If you are interested, the best thing to do will be to come to the class at 12:30 on Saturday to speak with the instructer and observe a class. You can determine together if Aikido is a good fit for your son.